Most organized retail crime methods involve diverters, who add a layer of legitimacy to the ecosystem of stolen product. Organized retail crime (ORC) has been in the crosshairs of shrink reduction efforts for a long time now. But for many retailers, battling ORC has seemed less like a victory story and more like an arms race—for every stride made, the opposition adapts. Organized retail crime methods are a part of the retail marketplace, and they operate under the same basic principles as retailers. There is an opportunity to make a profit by supplying a demand, so various ORC players take it upon themselves to become the suppliers. But where exactly is that demand? It turns out that a significant portion of the demand that ORC players are supplying comes from retailers themselves. Retailers are fueling the ORC system by buying product that may well have already been on their own store shelves, stolen, and completed a roundabout loop through the ORC underworld. The easiest way to understand exactly what diverters are and how they operate is to take a close look at the ORC ecosystem that they’re a part of. Boosters—the people who steal products intending to resell them—and fences—the buyers of stolen goods—vary enormously when it comes to the scale of their operations. 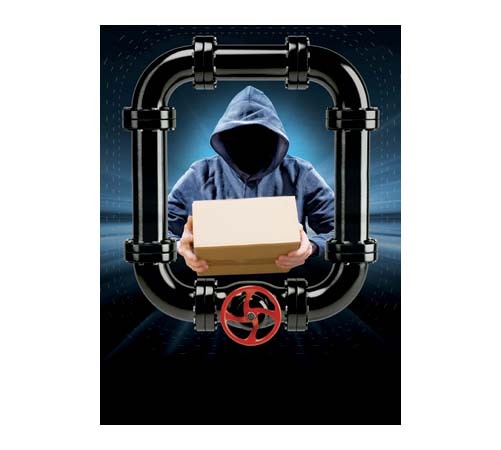 As these actors deal with increasing volumes of stolen goods, the geographic area in which they operate tends to increase, as does the sophistication of their organized retail crime methods. So for ease of discussion, they can be categorized into a hierarchy of three tiers. The level 1 booster is someone who steals relatively small amounts, works alone, and operates locally. If they live in Phoenix, they might never leave Phoenix to steal. They might steal things from their neighborhood CVS and walk right across the street to Mom and Pop’s Market to sell them. It’s not uncommon for drug addicts to fall into this category, stealing just enough for them to get by for the day. When a booster begins to travel to nearby cities to steal, when they increase their sophistication and volume, often teaming up with a partner or a group, they can be considered level 2 boosters—regional players. In comparison, the level 3 booster is a team of coordinated criminals who operate nationally and may sell their product directly to diverters. The level 1 fence is directly reselling product to consumers. They often appear to be legitimate businesses—they might be a local corner market, a swap shop, or a booth at a flea market. They sometimes recruit and train boosters, and they may buy product from level 1, 2, or 3 boosters. While most of the product a level 1 fence buys goes straight back to the consumer, they may move product daily or weekly to a higher-level, or level 2 fence. The primary function of the level 2 fence is to repackage stolen product and sell it to the level 3 fence—the diverter. They don’t buy from the small-timers. They buy from level 2 and 3 boosters, or in some cases from level 1 fences. Level 2 fences clean the product, removing stickers, security devices, or other markings that could identify which retailer the product had been stolen from. Then they repackage the product for distribution. They typically operate out of a residential house, a warehouse, or a storage unit. Storage units are appealing because they can be rented cheaply and easily, making it simple to evade detection by switching locations frequently. Some may rent several storage units and spread their product between them to minimize their losses if they do happen to be raided by law enforcement. The level 2 fence is the middleman between boosters and wholesalers. They typically don’t have a storefront, and though they may sell some of their product online, the bulk is sold to diverters. The level 3 fences (the diverters) complete the circle, selling stolen product back to retailers. They operate as a legitimate wholesaler or distributor, mixing legitimate product with stolen product and selling it back into the retail commerce stream. In many cases, they don’t know that the product they’re buying was stolen, though they probably begin to suspect so. So why do diverters exist in the first place? Why does the retail marketplace tolerate an avenue for stolen merchandise to be resold to them? “People may ask, ‘How could somebody possibly buy from these places? They must know these goods are stolen.’ But there are other reasons diverters are able to sell goods more cheaply than manufacturers,” said Sheppard. Diverters exist because smaller retailers—local and regional chains—rely on them as suppliers. If you’re a local retail chain with ten stores, you can’t buy directly from the manufacturer because you can’t meet their minimum order requirements. So the diverter will buy from the manufacturer and then resell to you and a dozen similarly sized companies. But diverters acquire legitimate products from other places too—anywhere they can get products cheaply enough to resell at a profit. They buy closeout goods. If a manufacturer is set to release a new season’s line of razor blades, they aren’t going to just throw away last season’s razors. Instead, they sell them to a diverter. Similarly, when a large national retailer buys product embedded inside a display, the retailers sells the inevitable excess to a diverter. Retail overbuy is another source of legitimate product. Massive international retail companies get the absolute lowest prices from manufacturers because of the unrivaled scale of their purchase volumes. Because of their volume discount, they know that they can sell to diverters at a profit, so they may buy an extra million pieces beyond what is needed for their own purposes because reselling to the diverter can easily make small margin at very little risk or effort. This allows other retail chains to get legitimate product from a diverter more cheaply than from the manufacturer. And that’s what it comes down to—buyers are incentivized to find the lowest prices for the products they decide to stock. For certain products, diverters will have the lowest prices. So retailers will continue to buy from them. A company doesn’t know if diverted goods originated on their shelves or their competitor’s. And to some degree, it doesn’t matter, since in either case it’s incentivizing bad actors to continue to operate via these organized retail crime methods. Closer collaboration with buyers within the company, as well as fellow LP professionals across the industry, can help to slow this ORC engine and reduce loss for everyone. To learn about reboxing, counterfeit goods, and online marketplaces and meeting places where diverters go to make deals, check out the full article “ORC and Diverters,” which was originally published in 2016. This excerpt was updated March 28, 2019.